Laura Werlin is no stranger to cheese enthusiasts, and she is no stranger to Timbers Resorts. A renowned expert and proponent of American cheeses — no, not the kind that come as orange squares in a foil envelope! — Werlin will next be a featured speaker at the 2013 Food & Wine Classic in Aspen. This annual event is near and dear to Laura's heart as she spends much of her summer in Aspen and enjoying all that this mountain town has to offer in the way of wine, cuisine, the outdoors and cultural happenings. The rest of the year, when not traveling to interesting pockets of the world, she lives in the Bay Area, not far from Mayacama. 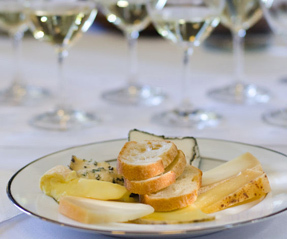 This past March, Timbers Resorts' Bay Area friends joined Werlin as she led a food-and-wine pairing at The Cheese School of San Francisco. As so many of our Owners and guests know, Timbers Resorts' luxury fractional properties revive the mind and the palate. Which makes a difference if you use yours as much as Werlin does! As one of the country’s foremost authorities on cheese, the James Beard award-winning author of six books on the subject, is a sought-after speaker and spokesperson for consumer and trade organizations, and is a frequent television and radio guest. In a recent discussion with Timbers Resorts, Werlin had plenty to say about her work, and about the state of American cheesemaking. Her passion for the delightful wheels and wedges made by U.S. artisans is part of a message about cuisine that Werlin wants to share. For those looking to learn along with her, she has begun to feature her newest dairy discoveries online. One recent example: the tangy, buttery, roasted almond notes of Briar Rose Creamery's madrona, produced in Oregon. It's all part of a movement: a way to bring American tasters to American products. "Luckily for me, cheese keeps me on my toes all the time," Werlin said. "My aim is to pave the way for people to embrace cheese in new ways, to not be intimidated by cheese, and mostly be excited about trying new ones. "I swell with pride whenever I think about how far American cheese has come since I first turned my own gaze on it," she continued. "As if I had anything to do with it! The fact is, I feel tremendous joy when I look around and find ever more cheesemakers sprouting up in our midst, so many of whom are now making world-class cheese." And what is the state of U.S. artisan cheese? "In 2000, there were probably 100 or so artisan cheesemakers," said Werlin. "Now? I really don't know. 500? 1,000? Last year at the American Cheese Society's annual conference, there were over 1,700 cheeses entered in the competition. When I went to my first conference 15 years ago, there were 300. "We've come a long way, and there's no sign of American cheese development, cheesemaking, and enthusiasm for American cheeses slowing down," she said. "In the end, the one thing I know is that cheesemakers are my heroes and always will be." For Owners and guests at Dancing Bear Aspen, the area's upcoming premier culinary event provides an opportunity to hear Werlin speak about America's best wine-and-cheese pairings and about her recent book, Mac & Cheese, Please! — a fresh look at the possibilities when it comes to one old-school pasta and cheese creation. Catch up with at Dancing Bear Aspen's parties over the weekend or join her popular panels on June 14 at 10 am (Mac & Cheese, Please!) and 2 pm (cheese-and-wine pairings). 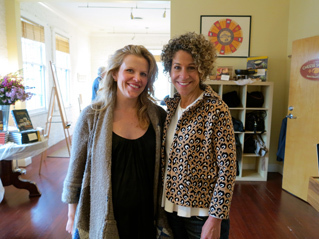 Werlin appears again on Saturday at 2 pm (pairings), and then on June 16 at 10:30 am (Mac & Cheese, Please! ), just prior to the Food & Wine Classic's third Grand Tasting at Wagner Park. 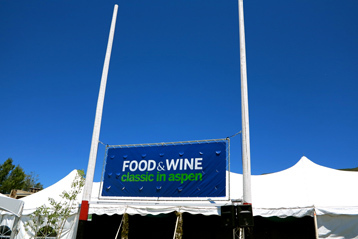 For more information about the festival visit the Food & Wine Classic in Aspen website. For more information about Timbers Resorts, contact us via email at info@timbersresorts.com or by phone, 888.366.6641.